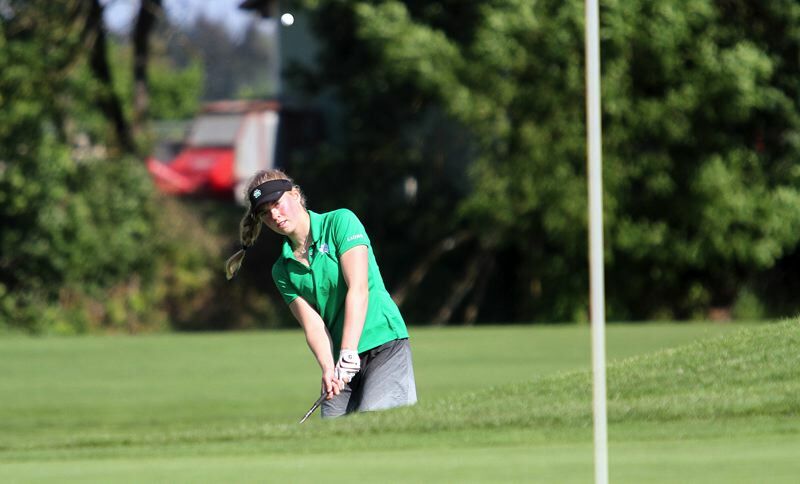 The West Linn girls golf team is opening a new chapter this year. The Lions, after 12 stellar seasons led by coach Bob Turnquist — a term that included four state championships and three runner-up finishes between 2010 and 2017 — have handed the reins to new head coach John Grothe for the 2019 season. "It is my honor and pleasure to assume the role of head coach," said Grothe, the Head Golf Professional at Willamette Valley Country Club. "Our team of coaches is dedicated to maintaining the high standard that coach Turnquist established." The Lions appear well-armed to do just that. In 2018, West Linn went unbeaten in the Three Rivers League regular season, won the TRL district tournament and went on to finish third at state. "The key for us will be to control what we can control and not allow things outside of our control to bother us," said Grothe, who has worked as a PGA professional for 20 years, including prior stops at Pumpkin Ridge, Pebble Beach Golf Links and Bandon Dunes. "We plan to be competitive but nothing is assured in high school golf." This year's Lions will be led by three varsity returners from last spring — junior Brady Turnquist (she was 26th at state in '18), junior Olivia Venderby (10th at state) and sophomore Lauren Grothe (20th at state) — and senior team captain Ashlee Muresan. "Ashlee brings a wealth of experience to our squad," Grothe said, adding that "both Brady and Oliva are tremendous players and active in their leadership. All three players make sure to focus on the process of getting better and allowing their results (and scores) speak for themselves." There's more talent on hand, too, including junior Shikha Singh, sophomore Morgan Highland, sophomore Ann Connell, freshman Baylor Brundage, freshman Kylie Zeman, freshman Sofia Bottaro and freshman Summer Tan. "(They) all have a legitimate chance to contribute on the varsity level," Grothe said. The Lions — Brady Turnquist and Venderby also serve as vice captains — expect to battle for top honors in the TRL again this spring. "Our goal is to be competitive for the league race, but again, our goal is to plan and prepare ourselves for each shot," Grothe said. At the same time, he also acknowledged the size of the challenge ahead. "St. Mary's, Lake Oswego … Tigard, Tualatin and even newcomers Oregon City have great teams," he added. "We will be challenged in all areas." To see the Lake Oswego team preview, click here. To see the Lakeridge team preview, click here.